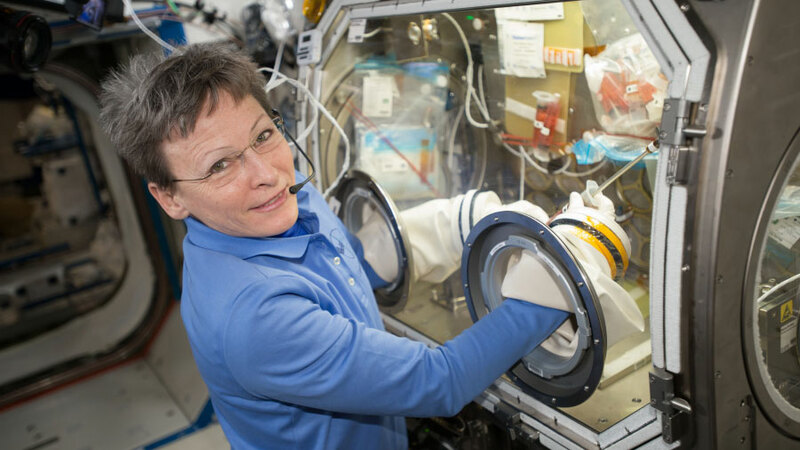 Commander Peggy Whitson works on an experiment in the Microgravity Science Glovebox, a facility suited for working with and containing liquids, particles and hazardous materials. The Expedition 51 crew reviewed Friday’s spacewalk today and researched how the human body adapts to microgravity. At the Johnson Space Center, three future International Space Station crew members introduced themselves live on NASA TV. Astronauts Peggy Whitson and Jack Fischer reviewed procedures for Friday morning’s spacewalk this morning. The duo will replace an avionics box that sends electricity and data to science experiments installed outside the space station. Flight Engineer Thomas Pesquet will assist the spacewalkers from inside the station. This will be the 200th spacewalk at the station for assembly and maintenance, the ninth for Whitson and the first for Fischer. Whitson also continued researching the differences in bone growth in space versus Earth. Pesquet then joined cosmonaut Fyodor Yurchikhin for a muscle study using electrodes attached to their legs while exercising. NASA astronauts Joe Acaba and Mark Vande Hei and cosmonaut Alexander Misurkin talked about their upcoming Expedition 53-54 mission today from Houston. The trio’s mission is due to launch Sept. 13 and stay on orbit until March 2018. 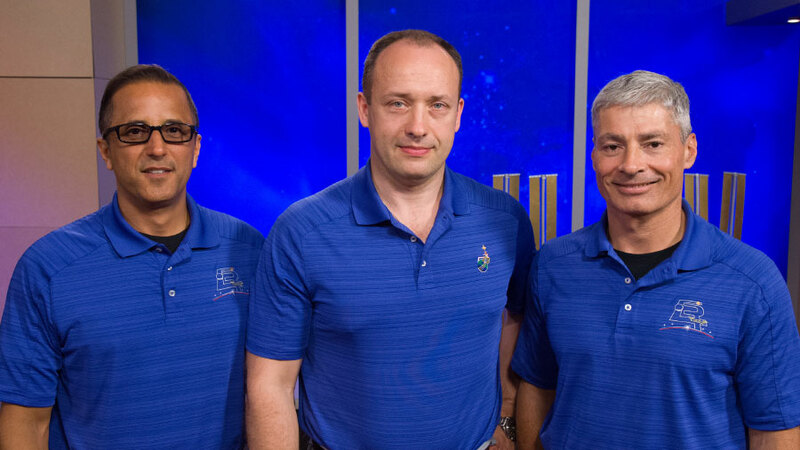 Future station crew members (from left) Joe Acaba, Alexander Misurkin and Mark Vande Hei introduced themselves at NASA’s Johnson Space Center today. They are due to launch to space in September. I’ve heard of these vibrating platforms a few years ago that increased mass in sheep’s bones. I see how they use treadmills on ISS. I just wonder if this is viable? Hi my name is Chloe and I am 8 and I live on a farm in Perenjori and my question is if you are sick what would you do? The crew has health facilities to provide treatment for headaches to condcuting surgery if necessary. In case of emergency, the crew can quickly return to Earth with a sick crew member inside the Soyuz crew vehicle.